Eliana Leader is the Director of the Kaplan Mitchell Retreat Center at Ramah Darom, and a long time Jewish professional and experienced community builder. Eliana has passionately served the Jewish world through professional roles such as the Executive Director at Young Israel of Toco Hills, and Experience Imagineer and curriculum developer for Jewish Kids Groups, as well as a variety of volunteer roles such as Limmud Atlanta + SE board member, Limmud North America Executive Board member, and YAD young adult leadership coordinator. She has a B.A. in sociology with a minor in Jewish Studies from University of Maryland, and a Graduate Certificate in Experiential Jewish Education through the Center for the Jewish Future at Yeshiva University. 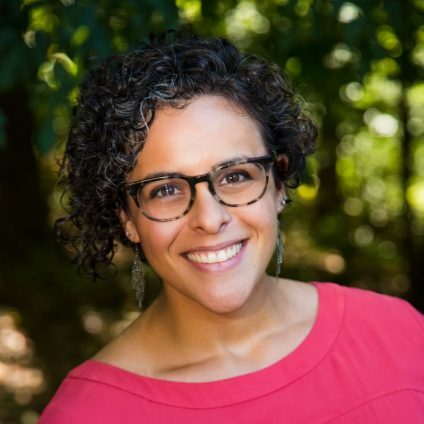 Eliana was recently named in 2017 Jewish Atlanta’s 40 Under 40, and is the recipient of the Abe Schwartz Young Leadership Award from Jewish Federation of Greater Atlanta. She and her husband, Yoni Kaplan, have two incredible daughters, Aria and Solelle.